Sometimes I feel like I’m really good at the big things – the main pieces of an outfit, the main furniture in a room – but I struggle with little things, like jewelry and accessorizing a room. So when redoing our patio I tried to be really deliberate and not just think about the big things, but also the atmosphere and accessories. These hanging tea lights are one of the things I felt gave the biggest payoff in the detail category, for very little effort. I knew I wanted something hanging, and some lighting, so it would be pretty AND functional for our patio. 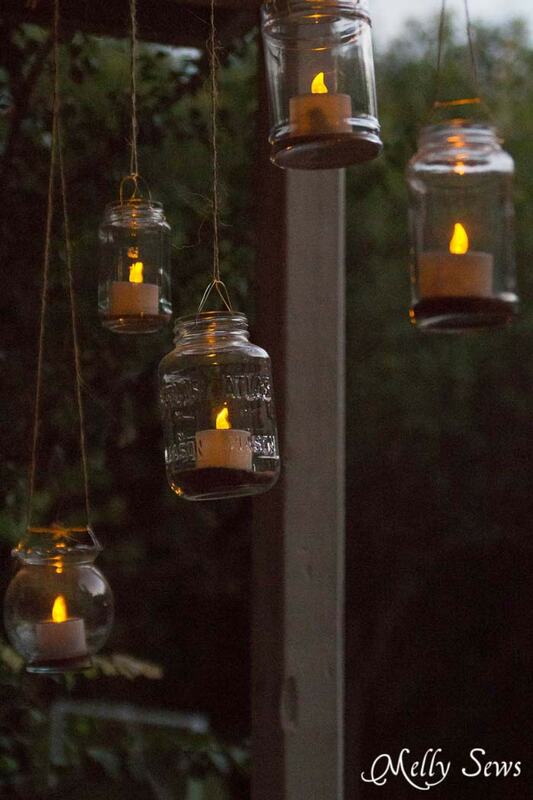 I saw a few hanging tea light/mason jar combos for weddings, and I wanted to adapt that for the patio. 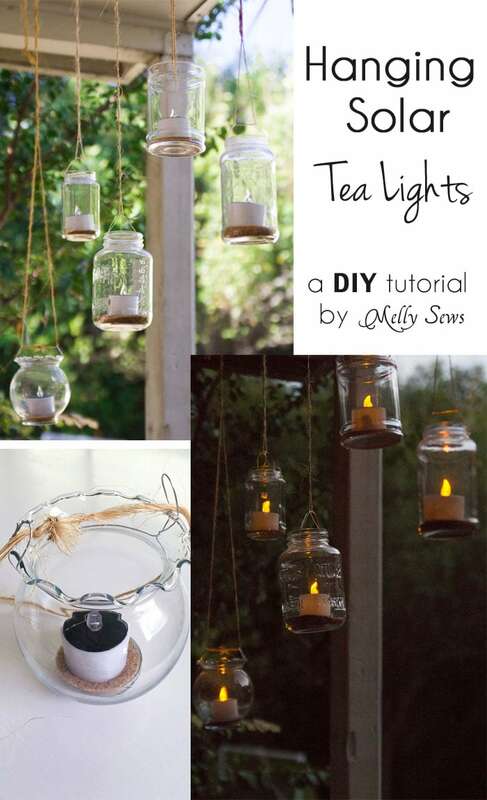 Since actual candles didn’t seem practical for this use, I looked up solar powered tea lights (affiliate link). And thanks to the internet, they were easy to find and in my mail later that week. 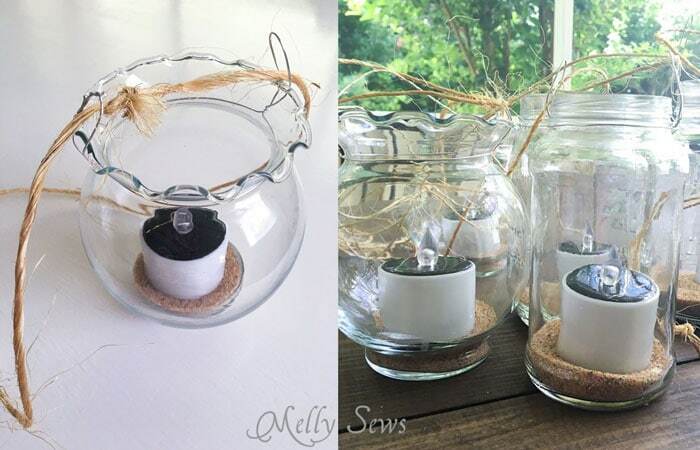 Jars – I used a mix of washed food jars and decorative thrifted ones that were 2 for $1.00. By the way, while making this, I stumbled across a really good tip for removing food labels – use a mix of cooking oil and baking soda made into a paste to scrub them right off without chemicals. Just get as much of the label off as you can with hot water, then use the paste. It works great! 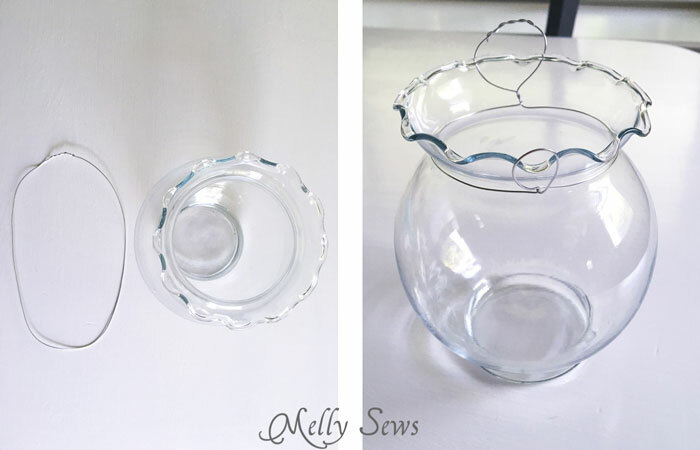 Form the wire into a loop that’s a few inches bigger than the top of the jar, and then place over the jar and twist the ends, so that there is now a small loop on each end. 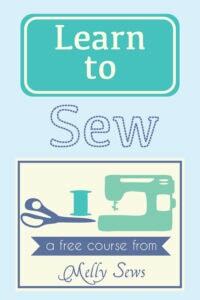 String the twine through the two smaller loops and tie securely in a loop. 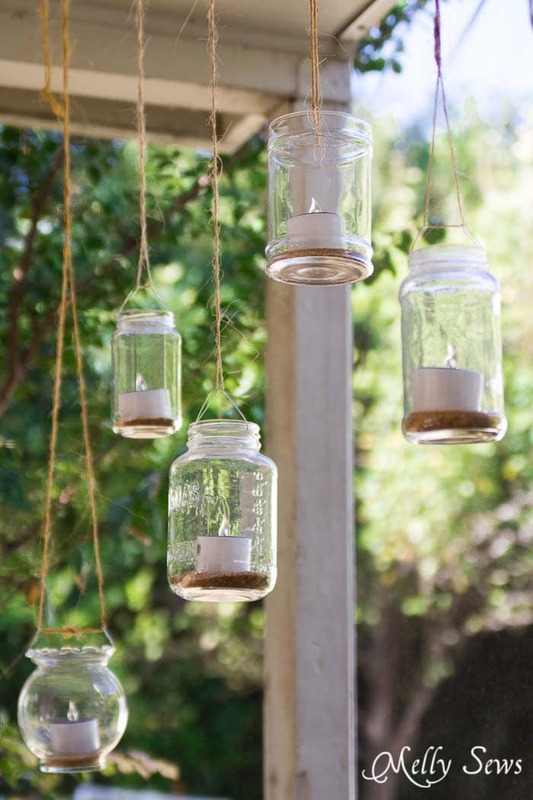 Fill the bottom of each jar with a little bit of sand so that the candle has a level base to sit on. Then add the candles. Screw cup hooks where you want the lamps to hang, then hang a lamp from each one (I did 12). Then come on automatically when it gets dark! That’s a lovely idea! I’m totally stealing that, if you don’t mind! 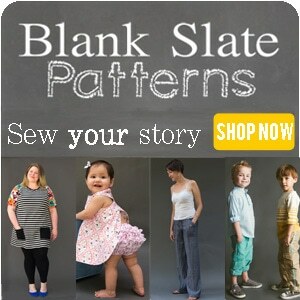 I’m crazy about this idea! I want to do this below our deck where we have a walk-out patio and lots of flowers. I imagine they need to be taken down if rain is expected so they don’t fill with water. Great idea, Melly!